Dream Doll Creation (DDC) is a French manufacturer of life-sized and life-like silicone love dolls. DDC Original is a life-sized and life-like silicone love doll by Dream Doll Creations. You can choose between six heads that fit to this doll: Tania, Soria, Swan, Chléa, Julia und Maeva; for eyery head, there are six different eye colors angeboten (blue, extra-blue, green, extra-green, gray). Also, the hair color can be customized; available is black, blonde, brown, medium brown, gray, and red hair. Additionally, you may choose different hair lengths and hair styles: long or short hair, curly or smooth. DDC Custom is a life-sized and life-like silicone love doll by Dream Doll Creations. You can choose from six different heads: Tania, Soria, Swan, Chléa, Julia und Maeva; for every head, there are six different eye colors (blue, extra-blue, green, extra-green, gray). Also, the hair color can be customized; available is black, blonde, brown, medium brown, gray, and red hair. Additionally, you can select the hair length (short hair or long hair), and the hair style (curly hair, or smooth hair). DDC Light is a life-like and life-sized silicone love doll by Dream Doll Creation. You can choose from three different heads: Tania, Soria und Swan; for each head, two different eye colors are available (blue or green). The hair color might be customized as well; available is black and blonde hair. DDC Body5 Ultra is a life-life and almost life-sized silicone love doll by Dream Doll Creation. You can choose from four different heads: Angela, Desiree, Scarlett, and Ginger. The head you choose determines as well the eye color as the hair color. Angela is a female head by Dream Doll Creation. This head has European looks and is made of silicone. Chléa is a female head by Dream Doll Creation. Desiree is a female head by Dream Doll Creation. Ginger is a female head by Dream Doll Creation. Julia is a female head by Dream Doll Creation. Maeva Angela is a female head by Dream Doll Creation. This head has Eurasian looks and is made of silicone. Scarlett is a female head by Dream Doll Creation. Soria is a female head by Dream Doll Creation. Swan is a female head by Dream Doll Creation. This head has Asian looks and is made of silicone. 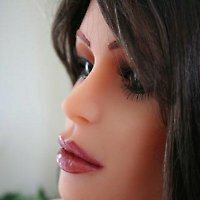 Tania is a female head by Dream Doll Creation. The Dreamdoll Torso Original is a slighly slimmed down version of the complete silicone love doll by Dream Doll Creation: Torso Original has a head according your choice (Tania, Soria, Swan, Chléa oder Julia), but has neither arms nor legs. Customizable is the eye color, the hair color and the skin tone. The Dreamdoll Torso Custom is the slighly slimmed down version of a complete silicone love doll by Dream Doll Creation: According to your choice, Torso Custom has a head (Tania, Soria, Swan, Chléa, or Julia), but neither legs nor arms. Customizable is the eye color, the hair color, and the skin color.